Recent studies have shown that many tumours are containing small population of stem cell-like cells, in other words, cancer stem cells. The rapid development of the cancer stem cell field has allowed the scientists and the clinicians to focus on another challenge, which targets cancer stem cells for new therapeutic strategies. Studies showed that novel therapeutic approaches on the selective targeting of cancer stem cells might be extremely successful for prevention of invasion, metastasis, and the relapses of tumors. Liver cancer is the 5th most common cancer type. It has also been reported as the third most common cause of cancer related death. Recently, progression of hepatocellular carcinoma is thought to be driven by cancer stem cells. There are tremendous efforts to clarify the features of liver cancer stem cells, to identify them within other tumor cells, and finally to develop the new therapeutic models that target those cells. This review summarizes the features of liver cancer stem cells, and its importance for therapeutic approaches. Son yıllarda yapılan araştırmalar; birçok tümörün az miktarda da olsa kök hücre benzeri özellik içeren hücreler, bir diğer değişle kanser kök hücreleri içerdiğini göstermektedir. Kanser kök hücreleri ile ilgili araştırmalar ve buna bağlı ortaya çıkan son derece hızlı gelişmeler; gerek hekimlerin gerekse bilim insanlarının bir diğer önemli konu üzerinde yoğun şekilde çalışmaya başlamalarına sebep olmuştur: Kanser kök hücrelerini hedef alan yeni tedavi stratejilerinin geliştirilmesi. Bu alandaki araştırmaların sonuçları; kanserin invazyonu, metastazı ve tekrarlamasını önlemede kanser kök hücrelerini hedef alan tedavi yaklaşımlarının son derece başarılı olabileceğini ortaya koymaktadır. Karaciğer kanseri; tüm kanser türleri arasında 5. sırada yer almaktadır. Kansere bağlı ölümlerde ise 3. sırada yer almaktadır. Hepatosellüler karsinomanın ilerlemesinde kanser kök hücrelerinin çok önemli rolü olduğu gösterilmiştir. Karaciğer kanser kök hücrelerinin tanımlanması, diğer tümör hücrelerinden ayrılabilmesi ve bu hücreleri hedef alan yeni tedavi şekillerinin geliştirilebilmesi konularında çok önemli gelişmeler vardır. Bu derlemede; son yıllarda bu alanlarda yapılan çalışmalar esas alınarak karaciğer kanser kök hücrelerinin özellikleri ve bu hücreleri hedef alan yeni tedavi yaklaşımları özetlenmektedir. Aktas, R.G. & Tok, O.E. 2014. Expression Patterns of F-Actin and Nanog, an embryonic stem cell marker, in monolayer and spheroid culture of human liver carcinoma cell line. The American Society for Cell Biology and International Federation of Cell Biology Meeting, Mol Biol Cell, Abstracts, 18-20, December, San Diego, California. Aktas, R.G. & Tok, O.E. 2015. Localization of embryonic stem cell markers (Oct4, Nanog, Sox2, SSEA-4, TRA-1) in tumour spheroids of hepatocellular carcinoma cell line after confluency in long-term cell cultures. 2nd International Congress on Stem Cell and Cellular Therapies, 15-18, October, Antalya, Turkey. Alison, M.R. 2005. Liver stem cells: implications for hepatocarcinogenesis. Stem Cell Reviews, 1(3): 253-60. Bach, P., Abel, T., Hoffmann, C., Gal, Z., Braun, G., Voelker, I., Ball, C.R., Johnston, I.C., Lauer, U.M., Herold-Mende, C., Mühle-bach, M.D., Glimm, H. & Buchholz, C.J. 2013. Specific elimination of CD133+ tumor cells with targeted oncolytic measles virus. Cancer Research, 73(2): 865-874. De Boer, C.J., van Krieken, J.H., Janssen-van Rhijn, C.M. & Litvinov, S.V. Expression of Ep-CAM in normal, regenerating, metaplastic, and neoplastic liver. The Journal of Pathology, 188: 201-206. Bowen K.N. & Monga S.P.S. 2008. Wnt/b-catenin signaling in hepatic organogenesis. Organogenesis, 4(2): 92-99. Budhu, A. 2006. Prediction of venous metastases, recurrence, and prognosis in hepatocellular carcinoma based on a unique immune response signature of the liver microenvironment. Cancer Cell, 10(2): 99-111. Castelli, G., Pelosi, E. & Testa U. 2017. Liver cancer: Molecular characterization, clonal evolution and cancer stem cells. Cancers (Basel), 9(9): 127-73. Chang, Y.W., Su Y.J. & Hsiao, M. 2015. Diverse targets of β-catenin during the epithelial-mesenchymal transition define cancer stem cells and predict disease relapse. Cancer Research. 75(16): 3398-3410. Chiba, T., Kamiya, A., Yokosuka, O. & Iwam, A. 2009. Cancer stem cells in hepatocellular carcinoma: Recent progress and perspective. Cancer Letters, 286: 145-153. Fan, Q. M., Jing, Y. Y., Yu, G. F., Kou, X. R., Ye, F. & Gao, L. 2014. Tumor-associated macrophages promote cancer stem cell-like properties via transforming growth factor-beta1-induced epithelial-mesenchymal transition in hepatocellular carcinoma. Cancer Letters, 352, 160-168. Gao, Y., Ruan, B., Liu, W., Wang, J., Yang, X., Zhang, Z., Li,X., Duan, J., Zhang, F. & Ding, R. 2015. Knockdown of CD44 inhibits the invasion and metastasis of hepatocellular carcinoma both in vitro and in vivo by reversing epithelial-mesenchymal transition. Oncotarget, 6: 7828-7837. Gedaly, R., Galuppo, R., Daily, M.F., Shah, M., Maynard, E., Chen, C., Zhang, X., Esser, K.A., Cohen, D.A., Evers, B.M., Jiang, J. & Spear, B.T. 2014. Targeting the Wnt/β-catenin signaling pathway in liver cancer stem cells and hepatocellular carcinoma cell lines with FH535. PLoS One, 9(6): e99272. Haraguchi, N., Ishii, H., Mimori, K., Tanaka, F., Ohkuma, M., Kim, H.M., Akita, H., Takiuchi, D., Hatano, H., Nagano, H., Barnard, G.F., Doki, Y. & Mori, M. 2010. CD13 is a therapeutic target in human liver cancer stem cells. The Journal of Clinical Investigation, 120(9): 3326-3339. Hussain, S.P., Schwank, J., Staib, F., Wang, X.W. & Harris, C.C. 2007. TP53 mutations and hepatocellular carcinoma: insights into the etiology and pathogenesis of liver cancer. Oncogene, 26(15): 2166-2176. Isan, H., Akbulut, Z., Cakil, Y.D. & Aktas R.G. 2018. The Relationship Between Cancer Stem Cells, Epithelial Mesenchymal Transition and Microenvironment Containing Type I Collagen During Proliferation and Differentiation Stages of Hepatocellular Carcinoma Cells. 10th International Heinrich F. C. Behr-Symposium on Stem Cells and Cancer. Abstract Book, 86. Ishimoto, T. 2011. CD44 variant regulates redox status in cancer cells by stabilizing the xCT subunit of system xc(–) and thereby promotes tumor growth. Cancer Cell, 19(3): 387-400. Ishizaki, Y., Ikeda, S., Fujimori, M., Shimizu, Y., Kurihara, T., Itamoto, T., Kikuchi, A., Okajima, M. & Asahara, T. 2004. Immunohistochemical analysis and mutational analyses of beta-catenin, Axin family and APC genes in hepatocellular carcinomas. International Journal of Oncology, 24: 1077-1083. Islam, F., Gopalan, V., Smith, R.A. & Lam, A.K. 2015. Translational potential of cancer stem cells: A review of the detection of cancer stem cells and their roles in cancer recurrence and cancer treatment. Experimental Cell Research, 335(1): 135-47. Kitisin, K., Shetty, K., Mishra, L. & Johnson, L.B. 2007. Hepatocellular stem cells. Cancer Biomark, 3: 251-262. Koike, H. & Taniguchi, H. 2012. Characteristics of hepatic stem/progenitor cells in the fetal and adult liver. Journal of Hepato-Biliary-Pancreatic Sciences, 19(6): 587-593. Lee, T.K., Castilho, A., Cheung, V.C., Tang, K.H., Ma, S. & Ng, I.O. 2011 (a). CD24(+) liver tumor-initiating cells drive self-renewal and tumor initiation through STAT3- mediated NANOG regulation. Cell Stem Cell, 9(1): 50-63. Lee, T.K., Castilho, A., Cheung, V.C., Tang, K.H., Ma, S. & Ng, I.O. 2011 (b). Lupeol targets liver tumor-initiating cells through phosphatase and tensin homolog modulation. Hepatology, 53: 160-170. Lim, R., Knight, B., Patel, K., McHutchison, J.G., Yeoh, G.C. & Olynyk, J.K. 2006. Antiproliferative effects of interferon alpha on hepatic progenitor cells in vitro and in vivo. Hepatology, 43(5): 1074-83. Lin, C.Y. 2014. Differentiation Therapy with Cancer Stem Cells. Journal of Stem Cell Research & Therapeutics, 4(1): e117. Lin, L., Amin, R., Gallicano, G.I., Glasgow, E., Jogunoori, W., Jessup, J.M., Zasloff, M., Marshall, J.L., Shetty, K., Johnson, L., Mishra, L. & He, A.R. 2009. The STAT3 inhibitor NSC 74859 is effective in hepato-cellular cancers with disrupted TGF-beta signaling, Oncogene, 28: 961-972. Liu, Y.M., Li, X.F., Liu, H. & Wu, X.L. 2015. Ultrasound-targeted microbubble destruction-mediated downregulation of CD133 inhibits epithelial-mesenchymal transition, stemness and migratory ability of liver cancer stem cells. Oncology Reports, 34: 2977-2986. Lum, L. & Beachy, P.A. 2004. The Hedgehog response network: sensors, switches, and routers. Science, 304: 1755-1759. Ma, S. 2007. Identification and characterization of tumorigenic liver cancer stem/progenitor cells. Gastroenterology, 132: 2542-2556. Mani, S.A., Guo, W. & Liao, M.J. 2008. The epithelial-mesenchymal transition generates cells with properties of stem cells. Cell, 133(4): 704-715. Mima, K., Okabe, H., Ishimoto, T., Hayashi, H., Nakagawa, S., Kuroki, H., Watanabe, M., Beppu, T., Tamada, M., Nagano, O., Saya, H. & Baba, H. 2012. CD44s regulates the TGF-beta-mediated mesenchymal phenotype and is associated with poor prognosis in patients with hepatocellular carcinoma. Cancer Research, 72(13): 3414-3423. Mitra, A., Satelli, A., Xia, X., Cutrera, J., Mishra, L. & Li, S. 2015. Cell-surface Vimentin: a mislocalized protein for isolating csVimentin(+) CD133(-) novel stem-like hepatocellular carcinoma cells expressing EMT markers. International Journal of Cancer, 137: 491–496. Mathieu, J., Zhang, Z., Zhou, W., Wang, A. J., Heddleston, J. M., Pinna, C. M., Hubaud, A., Stadler, B., Choi, M., Bar, M., Tewari, M., Liu, A., Vessella, R., Rostomily, R., Born, D., Horwitz, M., Ware, C., Blau, C.A., Cleary, M.A., Rich, J.N. & Ruohola-Baker, H. (2011). HIF induces human embryonic stem cell markers in cancer cells. Cancer Research, 71(13): 4640-4652. Moghbeli, M., Moghbeli, F., Forghanifard, M.M. & Abbaszadegan, M.R. 2014. Cancer stem cell detection and isolation. Medical Oncology, 31(9): 69. Morell, C.M. & Strazzabosco, M. 2014. Notch signaling and new therapeutic options in liver disease. Journal of Hepatology, 60(4): 885-890. Muz, B., de la Puente, P., Azab, F., Luderer, M., and Azab, A. K. 2014. Hypoxia promotes stem cell-like phenotype in multiple myeloma cells. Blood Cancer Journal, 4: e262. Munz, M., Baeuerle, P.A. & Gires, O. 2009. The emerging role of EpCAM in cancer and stem cell signaling. Cancer Research, 69(14): 5627-5629. Oishi, N., Yamashita, T. & Kaneko, S. 2012. Transcriptomic profiling reveals hepatic stem-like gene signatures and interplay of miR-200c and epithelial-mesenchymal transition in intrahepatic cholangiocarcinoma. Hepatology, 56(5): 1792-1803. Qiu, Q., Hernandez, J.C., Dean, A.M., Rao, P.H. & Darlington G.J. 2011. CD24-positive cells from normal adult mouse liver are hepatocyte progenitor cells. Stem Cells and Development, 20(12): 2177-2188. Park, N.R., Cha, J.H., Jang, J.W., Bae, S.H., Jang, B., Kim, J.H., Hur, W., Choi, J.Y., Yoon, S.K. 2016. Synergistic effects of CD44 and TGF-beta1 through AKT/GSK-3beta/beta-catenin signaling during epithelial-mesenchymal transition in liver cancer cells. Biochemical and Biophysical Research Communications, 477: 568-574. Roskams, T. 2006. Liver stem cells and their implication in hepatocellular and cholangiocarcinoma. Oncogene, 25(27): 3818-3822. Sukowati, C.H.C., Anfuso, B., Torre, G., Francalanci, P., Crocè, L.S. & Tiribelli, C. 2013. The Expression of CD90/Thy-1 in Hepatocellular Carcinoma: An In Vivo and In Vitro Study. PlosOne, 8(10): 1-11. Song, Y., Zhu, Z., An, Y., Zhang, W., Zhang, H., Liu, D., Yu, C., Duan, W. & Yang, C.J. 2013. Selection of DNA aptamers against epithelial cell adhesion molecule for cancer cell imaging and circulating tumor cell capture. Analytical Chemistry, 85(8): 4141-4149. Sun, J.H., Luo, Q., Liu, L.L. & Song, G.B. 2016. Liver cancer stem cell markers: Progression and therapeutic implications. World Journal of Gastroenterology, 22(13): 3547-3557. Sun, Y., Song, G.D., Sun, N., Chen, J.Q. & Yang, S.S. 2014. Slug overexpression induces stemness and promotes hepatocellular carcinoma cell invasion and metastasis. Oncology Letters, 7: 1936-1940. Tanaka, K., Tomita H., Hisamatsu, K., Nakashima, T., Hatano, Y. & Sasaki, Y. 2015. ALDH1A1- overexpressing cells are differentiated cells but not cancer stem or progenitor cells in human hepatocellular carcinoma. Oncotarget, 6(28): 24722-24732. Tetreault M., Weinblatt, D., Shaverdashvili, K., Yang, Y. & Katz, J.P. 2016. KLF4 transcriptionally activates non-canonical WNT5A to control epithelial stratification. Scientific Reports, 6: 1-9. Tok, O.E. & Aktas, R.G. 2017. Serial passaging effects the carcinogenicity, stemness and spheroid formation of HEPG2 cells, a hepatocellular carcinoma cell line. Abstract Book, 401-402, 13th Multinational Congress on Microscopy, September 24-29, Rovinj, Croatia. Trzpis, M., McLaughlin, P.M., de Leij, L.M. & Harmsen, M.C. 2007. Epithelial cell adhesion molecule: more than a carcinoma marker and adhesion molecule. The American Journal of Pathology, 171(2): 386-395. Villavicencio, E.H., Walterhouse, D.O. & Iannaccone, P.M. 2000. The sonic hedgehog-patched-gli pathway in human development and disease. American Journal of Human Genetics, 67(5): 1047-1054. Waldron, N.N., Barsky, S.H., Dougherty, P.R. & Vallera, D.A. 2014. A bispecific EpCAM/CD133-targeted toxin is effective against carcinoma. Targeted Oncology, 9(3): 239-249. Wang, H.Y. 2012. OV6(+) tumor-initiating cells contribute to tumor progression and invasion in human hepatocellular carcinoma. Journal of Hepatology, 57(3): 613-620. Wang, Q., Huang, S., Yang, L., Zhao, L., Yin, Y., Liu, Z., Chen, Z., & Zhang, H. 2008. Down-regulation of Sonic hedgehog signaling pathway activity is involved in 5-fluorouracil-induced apoptosis and motility inhibition in Hep3B cells. Acta biochimica et biophysica Sinica (Shanghai), 40(9): 819-829. Wang, R., Sun, Q., Wang, P., Liu, M., Xiong, S., Luo, J., Huang, H., Du, Q., Geller, D.A. & Cheng B. 2016. Notch and Wnt/β-catenin signaling pathway play important roles in activating liver cancer stem cells. Oncotarget, 7(5): 5754-5768. Yamashita, T., Honda, M., Nakamoto, Y., Baba, M., Nio, K., Har, Y., Zeng, S.S., Hayashi, T., Kondo, M., Takatori, H., Yamashita, T., Mizukoshi, E., Ikeda, H., Zen, Y., Takamura, H., Wang, X.W. & Kaneko, S. 2013. Discrete nature of EpCAM+ and CD90+ cancer stem cells in human hepatocellular carcinoma. Hepatology, 57(4): 1484-97. Yamashita, T., Ji J., Budhu, A., Forgues, M., Yang, W., Wang, H.Y., Jia, H., Ye, Q., Qin, L.X., Wauthier, E., Reid, L.M., Minato, H., Honda, M., Kaneko, S., Tang, Z.Y. & Wang, X.W. 2009. EpCAM-positive hepatocellular carcinoma cells are tumor-initiating cells with stem/progenitor cell features. Gastroenterology, 136:1012-1024. Yamashita, Y. & Wang X.W. 2013. Cancer stem cells in the development of liver cancer. The Journal of Clinical Investigation, 123(5): 1911-18. Yang, W, Yan, H.X., Chen, L., Liu, Q., He, Y.Q., Yu, L.X., Zhang, S.H., Huang, D.D., Tang, L., Kong, X.N., Chen, C., Liu, S.Q., Wu, M.C. & Wang, H.Y. 2008. Wnt/beta-catenin signaling contributes to activation of normal and tumorigenic liver progenitor cells. Cancer Research, 68(11): 4287-4295. Yang, W., Wang, C., Lin, Y, Liu, Q, Yu, L.X., Tang, L., Yan, H.X., Fu, J., Chen, Y., Zhang, H.L,. Tang, L., Zheng, L.Y., He, Y.Q., Li, Y.Q., Wu, F.Q., Zou, S.S., Li, Z., Wu, M.C., Feng, G.S. You, N., Zheng, L., Liu, W., Zhong, X., Wang, W. & Li, J. 2014. Proliferation inhibition and differentiation induction of hepatic cancer stem cells by knockdown of BC047440: a potential therapeutic target of stem cell treatment for hepatocellular carcinoma. Oncology Reports, 31(4): 1911-1920. Yin, C., Lin, Y., Zhang, X., Chen, Y.X., Zeng, X., Yue, H.Y., Hou, J.L., Deng, X., Zhang, J.P., Han, Z.G. & Xie, W.F. 2008. Differentiation therapy of hepatocellular carcinoma in mice with recombinant adenovirus carrying hepatocyte nuclear factor-4alpha gene. Hepatology, 48(5): 1528-1539. Yuan, F., Zhou, W., Zou, C., Zhang, Z., Hu, H., Dai, Z. & Zhang, Y. 2010. Expression of Oct4 in HCC and modulation to wnt/β-catenin and TGF-β signal pathways. Molecular and Cellular Biochemistry, 343(1-2): 155-162. Xiang, Y., Yang, T., Pang, B., Zhu, Y. & Liu, Y. 2016. The Progress and Prospects of Putative Biomarkers for Liver Cancer Stem Cells in Hepatocellular Carcinoma. Stem Cells International, 2016: 1-15. 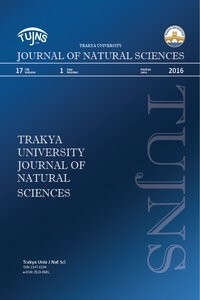 Xu, Z., Robitaille, A.M., Berndt, J.D., Davidson K.C., Fischer K.A., Mathieu J., Potter J.C., Ruohola-Baker H. & Moon, R.T. 2016. Wnt/β-catenin signaling promotes self-renewal and inhibits the primed state transition in naïve human embryonic stem cells. Proceedings of the National Academy of Sciences of the United States of America,18 (42): 113-121. Zhan, T., Rindtorff, N. & Boutros, M. 2017. Wnt signaling in cancer. Oncogene, 36: 1461-1473. Zhang, S. Li, Y., Wu, Y., Shi, K., Bing, L. & Hao, J. 2012. Wnt/b-Catenin Signaling Pathway Upregulates c-Myc Expression to Promote Cell Proliferation of P19 Teratocarcinoma Cells. The Anatomical Record, 295: 2104-2113. Zheng, L., Liang, P., Li, J., Huang, X.B., Wang, W.W., Wang, L. & Feng, H. 2010. Expression of BC047440 protein in hepatocellular carcinoma and its relationship to prognosis. Chinese Journal of Cancer, 29(11): 931-936. Zhou, J.N., Zeng, Q., Wang, H.Y., Zhang, B., Li, S.T., Nan, X., Cao, N., Fu, C.J., Yan, X.L. & Jia, Y.L. 2015. MicroRNA-125b attenuates epithelial-mesenchymal transitions and targets stem-like liver cancer cells through small mothers against decapentaplegic 2 and 4. Hepatology, 62: 801-815.